Celebrating its 40th anniversary, 2016 was BAPTO’s busiest tournament in history, attracting 127 pub teams and over 700 players. Officially the UK’s longest running annual pool tournament, BAPTO continues to grow in popularity, especially since moving to the Norbreck Castle hotel in Blackball. The Norbreck’s superb playing arena hosts 42 quality Sam Atlantic pool tables, covered in Hainsworth Precision cloth and graced by Super Aramith Pro balls, creating the ultimate playing experience for all those that attend. The new ‘double round robin’ format proved a considerable success with teams, giving everyone much more pool to play, no matter what their skill level. 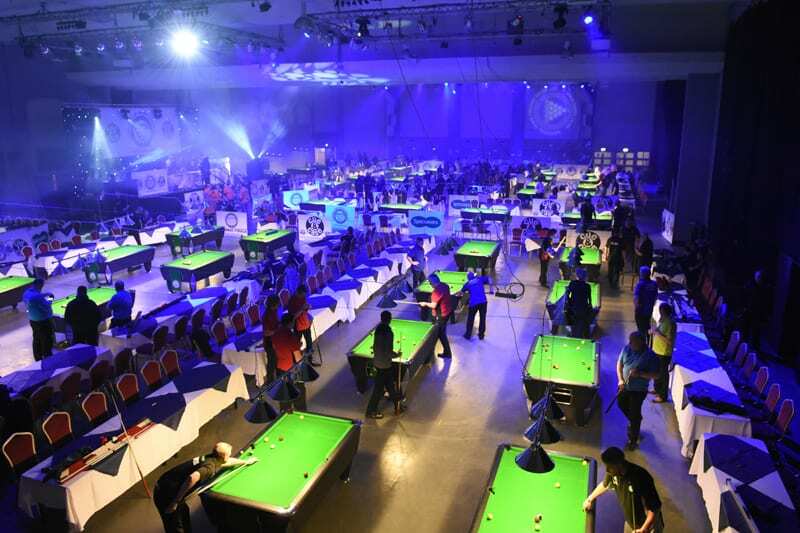 All teams played a minimum 60 frames of pool, throughout Friday and Saturday before being knocked out. Last 16 teams from both trophies played the final stage knockout on Sunday. BAPTO are going to continue with this new format for the 2017 event. The new singles and mixed doubles schedule allowed many singles matches to be played on Thursday evening as qualifiers to get into the main singles event on the Friday evening, which was limited to 64 men and 32 ladies. BAPTO intend to continue with this schedule as it saved players waiting around to play matches on the Friday and Saturday nights and gave teams more leisure time in the evenings and the chance to visit Blackpool for a night out. The other big advantage with this new system is that the finals for Men’s and Ladies singles and the Mixed Doubles all get played on Saturday night, drawing in big crowds of spectators and creating a brilliant atmosphere. BAPTO Welcomes AFEBAS Teams from France! ‘Desi Daredevils’ make 2017 BAPTO History!